Rebecca Hoke received her Bachelor's degree in Communication Disorders from Kutztown University and her Master's Degree in Speech-Language Pathology from West Chester University. She has been a speech-language pathologist since 2003. Previously she worked with preschool children to young adults in a range of school settings in the Pennsylvania school system, but primarily in self contained programs for students with intellectual disabilities, autism and physical disabilities. Recently she was a full-time SLP at a LAMP Center of Excellence in South Central Pennsylvania. Rebecca specializes in Augmentative and Alternative Communication (AAC), working with children who have complex communication needs. In addition to providing direct services to students, she has worked as an AAC consultant within the school setting, collaborating with and training educational teams to select and implement AAC in the educational environment. She has experience presenting locally and regionally to SLPs, teachers and assistants and occupational therapists. Rebecca maintains membership in the American Speech Language Hearing Association. Financial: Rebecca Hoke is a salaried employee of The Center for AAC and Autism. 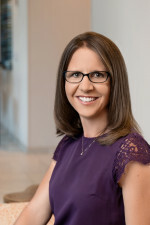 Non-Financial: Rebecca Hoke is an employee-owner of The Center for AAC and Autism and is a member of the American Speech Language Hearing Association (ASHA).